The “Emerald Isle” offers spectacular beauty and a rich cultural history. Explore this spectacular island as well as following in the footsteps of St Patrick, the patron saint of Ireland and among the first missionaries to spread the Christian faith here during the 5th Century. Visit key religious sites such as the final resting place of St. Patrick in Downpatrick, pray and reflect at the famous Marian apparition site of Knock and visit the remarkable Kylemore Abbey. This inspirational journey also includes visits to experience some of Ireland’s most dramatic scenery such as the awe-inspiring Giant’s Causeway and the breathtaking Cliffs of Moher—the perfect setting for peaceful prayer and reflection. Due to the adventurous style of the Aran Islands excursion, we recommend you bring suitable outdoor wear and comfortable shoes. Motorcoach; Aran island ferry and minibus. Free Wi-Fi available on your motorcoach and in most hotel lobbies. Welcome to Dublin! The rest of the day is free to relax and prepare yourself for your upcoming spiritual journey on the Emerald Isle. 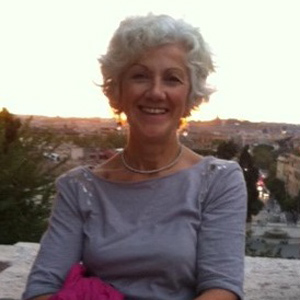 At 6 pm, join your Tour Director and traveling companions for a welcome dinner at the hotel. Today’s orientation drive introduces you to the vibrant Irish capital. See statue-lined O’Connell Street with its landmark Spire of Dublin, bustling town squares surrounded by elegant Georgian architecture and colorful doorways, and Trinity College—Ireland’s oldest university and home to the legendary Book of Kells. Visit ST. PATRICK’S CATHEDRAL, built in honor of Ireland’s patron saint. Founded in 1191, St. Patrick’s has served as the country’s national cathedral since 1870. As you explore, take a quiet moment to reflect and marvel at the magnificent stained glass that told the stories of the Bible at a time when most people were unable to read and write. 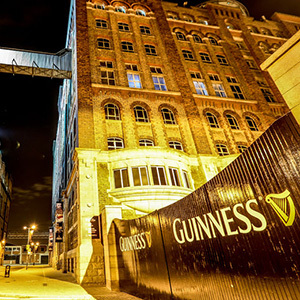 Why not join an optional dinner this evening at the Guinness Storehouse? On your way to Northern Ireland, cross the Boyne River, whose waters have recently revealed remains of an ancient log-boat and a Viking ship. Continue in the peaceful lee of the Mountains of Mourne, which inspired C.S. Lewis to write his Christian allegory The Lion, The Witch and The Wardrobe. On to Downpatrick, the final resting place of St. Patrick. Stop at the SAINT PATRICK CENTRE for a fascinating interactive journey through Patrick’s world and the introduction of Christianity in Ireland. Visit ST. PATRICK’S GRAVE and the medieval DOWN CATHEDRAL followed by a guided tour of the HIGH CROSS GALLERIES at Down County Museum. For the conclusion of your visit, drive to SAUL CHURCH, which was founded by St. Patrick in 432 AD, and where he died on March 17, 461. 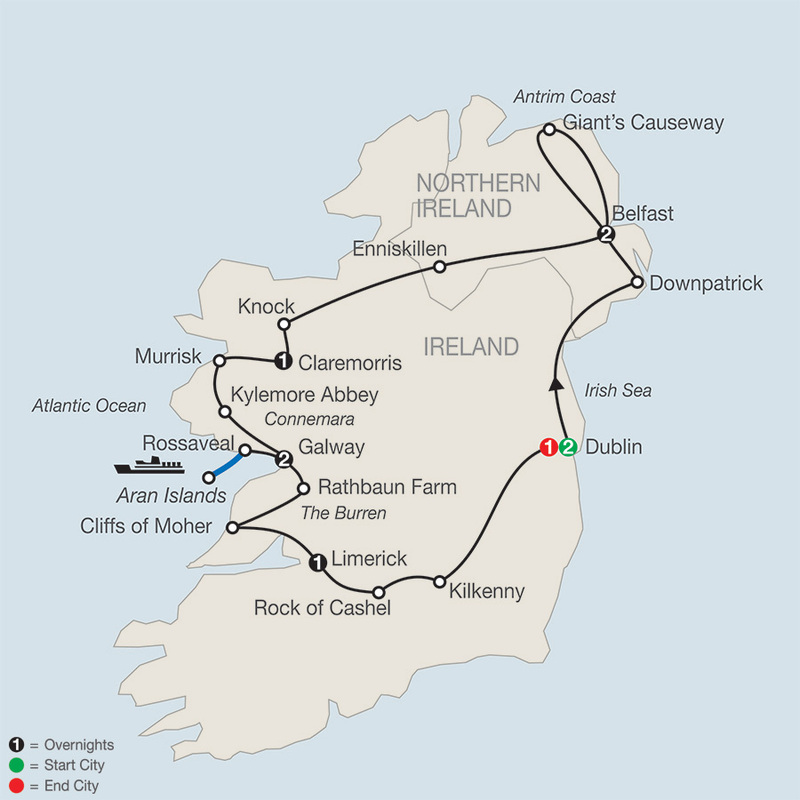 Later, travel to Belfast for a fascinating visit to the TITANIC EXPERIENCE and learn about the construction of the largest passenger steam ship, its maiden voyage, and the tragic night of April 14, 1912. Drive further north to the stunningly beautiful and dramatic Antrim Coast to visit awe-inspiring GIANT’S CAUSEWAY. Hear the legend of Finn McCool, the Irish giant whose battle with a rival Scottish giant created the 40,000 interlocking basalt columns here—then, learn how they were really formed! This UNESCO World Heritage Site is one of the Creator’s most impressive natural wonders. Back in Belfast this afternoon, there’s time to discover the city on your own. First on the agenda is a stop in the lovely historic market town of Enniskillen, on the river Erne. Continue west through rolling hills and reed-fringed lakes to Knock, a major pilgrimage site since 1879 when 15 townspeople saw apparitions that included the Virgin Mary, Joseph, and Jesus as the Lamb of God. 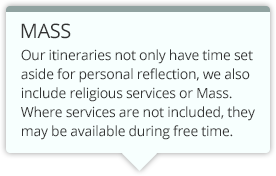 Attend Mass, then visit KNOCK SHRINE, the CHURCH OF THE APPARITION, the BASILICA, and the FOLK MUSEUM. Overnight is at Claremorris. This morning, visit the Croagh Patrick visitor center at the foot of the holiest mountain in Ireland, where St. Patrick fasted on the summit for 40 days in 441 AD. Next, visit KYLEMORE ABBEY, a graceful castle acquired by Benedictine nuns as a precious heirloom for Ireland. Arrive in Galway, a popular seaside destination and Ireland’s “cultural heart.” On the west bank of the Corrib River is the ancient Claddagh fishing village, which has produced the famous Claddagh Rings since 1700. At Rossaveal, board a comfortable FERRY for the 45-minute crossing to Kilronan on Inishmore, the largest of the Aran Islands and where Gaelic is the primary language. Your fascinating day features a presentation by an island historian about life on Inishmore. After LUNCH at a local pub, board a minibus for a tour of the island that includes fascinating commentary by your driver/Local Guide and a visit to clifftop DUN AENGUS, one of the most dramatic prehistoric stone forts in Europe. Return to the mainland and attend Mass in Galway before enjoying an evening at leisure. A special treat this morning as you glimpse rural Irish life at RATHBAUN FARM. Watch the farmer shear a sheep and maneuver a flock with the help of a sheep dog, then enjoy your morning coffee or tea and scones, fresh out of the oven. Take the scenic route across the desolate limestone plateau known as The Burren, and stop for photos of Poulnabrone Dolmen, a portal tomb dating back to the Neolithic Period. Bask in the fresh coastal breezes as you gaze out over the breathtaking CLIFFS OF MOHER, rising 668 feet above the Atlantic Ocean. Tonight, in Limerick, why not join an optional medieval castle banquet? Travel eastward, first to visit the ROCK OF CASHEL, where St. Patrick preached, and then to Kilkenny, one of Ireland’s prettiest towns with medieval cobblestones and Old-World charm. Back in Dublin, consider joining your traveling companions for a final evening of fellowship and fun at an optional cabaret dinner featuring Irish music, song, and dance. With Faith, there’s no better way to get to know your destination than through the eyes of your Tour Director. Averaging over a decade... we’d like you to meet a Tour Director, who is representative of the type of expert that will be with you on your vacation. 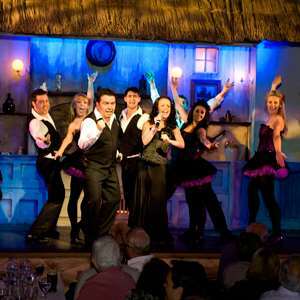 A long established ever popular evening that brings together a wonderful mix of great Irish dancing, ballad singing and folk groups, and comedy. This is preceded by a three-course dinner, a drink of your choice, and an Irish coffee. Step back in time at Bunratty Castle's original Irish Medieval Banquet. 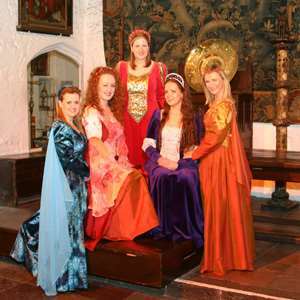 Enjoy a four-course feast and wine, then sit back and let your medieval hosts entertain you with music and story-telling on an unforgettable night.